This Expandable Tactical Backpack is constructed with high quality 600 Denier polyester material, heavy over-sized zippers and tabs. 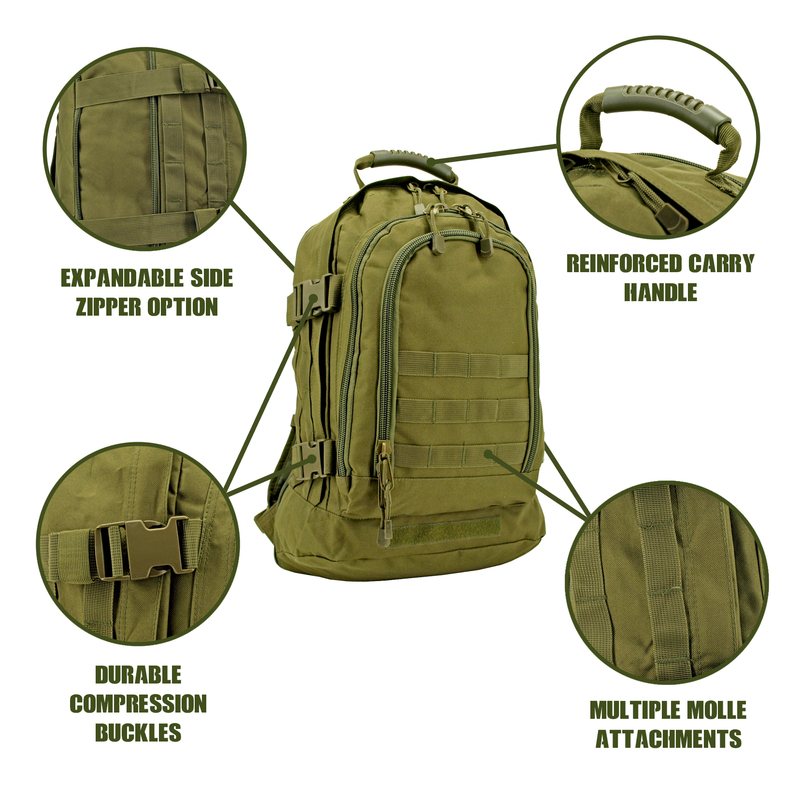 Expandable main compartment with multiple gear pouches and Molle compatibility that allows customizing the pack for your needs. Main compartment expands an additional 5 in. to accommodate extra vital assault gear to complete your mission. Side parachute buckles allow for tightening to provide a compact, easy to transport pack. The smaller pocket on the front contains an organizer pocket section inside. (L x W x H) 21.00" x 15.25" x 3.00"